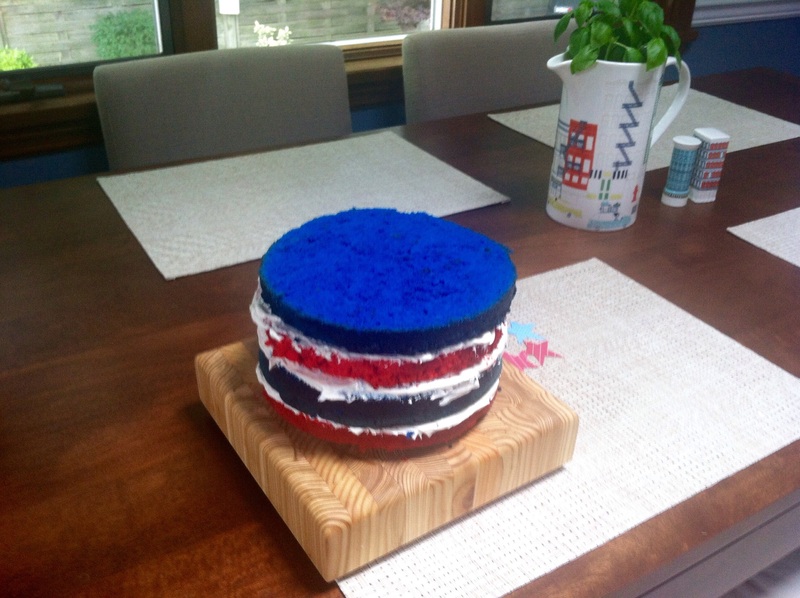 This is the Fourth of July treat I make for our family every year. It is incredibly rewarding when you slice in and see the vibrant, perfect layers. When the light, fluffy, moist, and pleasantly rich cake melts in your mouth you’ll be in heaven. An excellent “show stopper” for your holiday bash, this dessert will have your guests raving with positive reviews. This is not a recipe that uses boxed cake mix. If that makes you want to run for the hills, please reconsider and give it a chance. In my opinion, it is the world’s best vanilla bean cake with whipped vanilla bean buttercream frosting. It is not difficult to make, but it does require a few extra steps. Please do not let that intimidate you. For the record, I do love a good Funfetti cake with a big ol’ tub o’ frosting, but this is so much better. 1. Once the batter is prepared per the recipe’s instructions, divide it evenly into two bowls. 2. 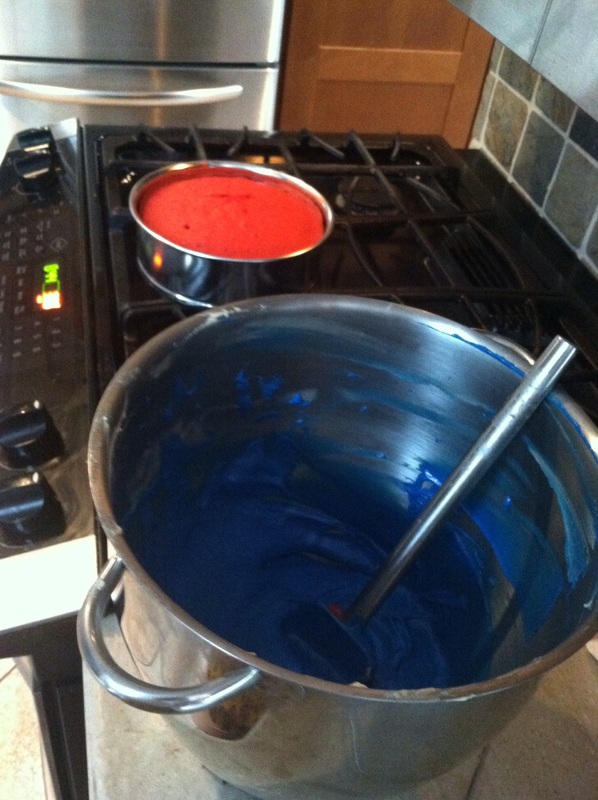 Use food coloring (I like gel food coloring, but regular works) to dye half the batter red and the other half blue. I like to err on the side of “too much” food coloring to ensure a vibrant cake. When it bakes, the color becomes somewhat muted, so the batter should have quite a bit of pigment. 3. Bake each cake as indicated in the recipe and allow to fully cool. 4. 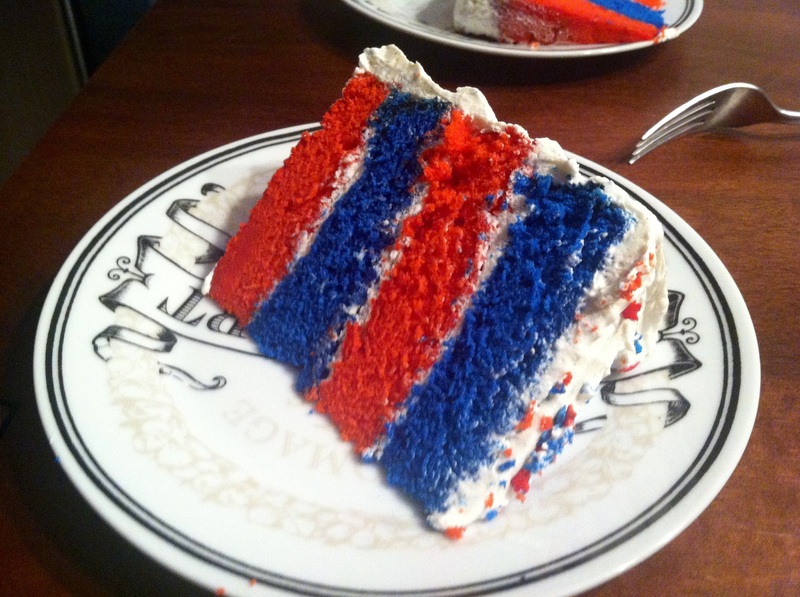 Very carefully cut the layers in half horizontally to give yourself four pieces total: two red and two blue. I my mind, four layers are better than two. It looks more impressive and let’s be honest… Who doesn’t enjoy an extra two layers of frosting? 5. 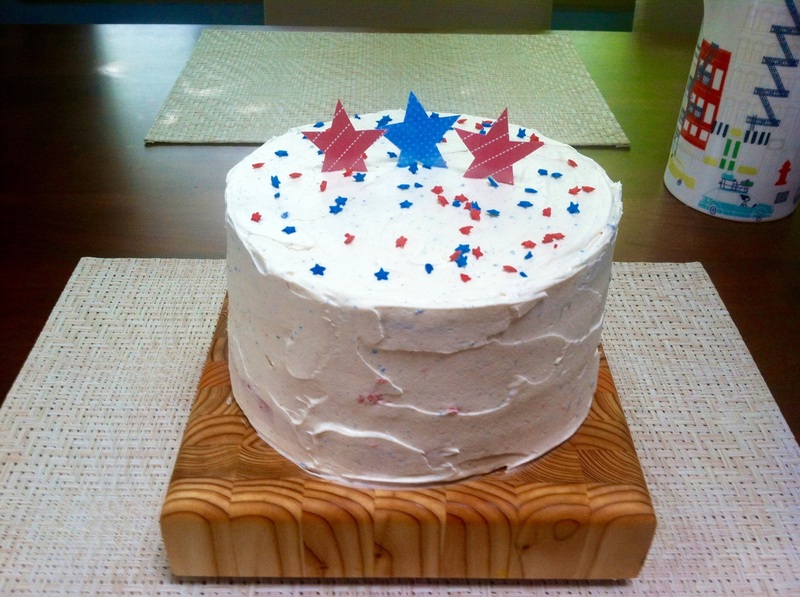 Frost your cake and adorn with red, white, and blue festive touches.